Sonny Brewer is a writer and editor, and founder of Over the Transom Bookstore in Fairhope, Alabama. Browse his books at IndieBound, the Independent Booksellers' title listings. Sonny hosts seasonal writers' retreats for a limited number of students. Check out Fairhope Writers' Colony for details. Sonny has an author page on Facebook. Join up to follow tours and the latest book news! The newest title from Sonny is a collection of original essays by some of the best-known writers in the business, about jobs they held before, as William Gay says, they "clocked in at the Culture Factory." The book is called DON'T QUIT YOUR DAY JOB: ACCLAIMED AUTHORS AND THE DAY JOBS THEY QUIT. John Grisham's piece in DQYDJ was abridged for the Labor Day edition of the New York Times, linked here. DQYDJ was also the subject of a feature interview on NPR's Weekend Edition, hosted by former senior editor of All Things Considered, Mary Louise Kelly. William Gay and Sonny have taken some long and adventuresome road trips, like the one to Fort Lauderdale where they missed an entire interstate turn and wound up looking at the ocean in Jacksonville before discovering they discovered they'd literally talked themselves into a detour, lost as they were in conversation. Then there was this latest road trip from Tennessee to Maine in a Big Mercury with William, where Sonny gave his first reading from Don't Quit Your Day Job. Sonny's first two books painted a historical backdrop of the author's bayfront hometown of Fairhope, Alabama. The Poet of Tolstoy Park was set in the 1920s, and A Sound Like Thunder in the 1940s. 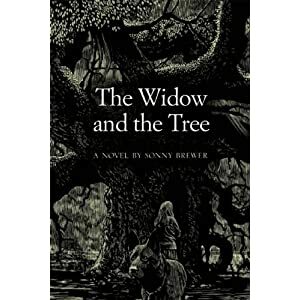 The Widow and the Tree, is a fable-istic tale of a 500-year-old oak tree at the intersection of lives and emotions in Coastal Alabama. Read the actual news account of events surrounding the intentional killing of "Inspiration Oak," a champion Live Oak near Magnolia Springs. WIDOW's cover art is an original wood engraving by celebrated artist Barry Moser. Note: A Sound Like Thunder is out of print, the unsold inventory in the author's study. Go here for details on how to order your collectible hardback. Sonny edited the anthology Stories from the Blue Moon Cafe, four volumes, plus a fifth volume in the series published under the title, A Cast of Characters and Other Stories. He spent three minutes of his fifteen-minute allotment of fame when he got some press for wearing a seersucker suit while riding his Harley. Read about it in this back issue of the New York Times. A children's book called Rembrandt the Rocker, Sonny self-published, and you can sometimes find it on the used book market illustrated by the author. If you're in the mood for some dime-store philosophy, look among the out-of-print titles for A Yin for Change. WHAT ABOUT OVER THE TRANSOM BOOKSTORE?